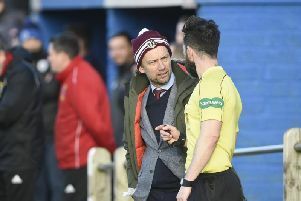 Despite all but one of last Saturday’s 18 East of Scotland Football League matches being cancelled, ex-Bo’ness United boss Allan McGonigal doesn’t think there is justification for introducing a winter shutdown at that level, writes Craig Goldthorp. 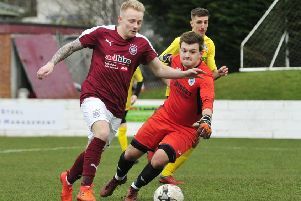 The 17 games – including Bo’ness's Conference B trip to Bonnyrigg Rose and Linlithgow Rose v Inverkeithing Hillfield Swifts in Conference C – fell victim to frozen or snow covered pitches. But McGonigal, now director of football at Ladbrokes Premiership outfit Hamilton Accies and who benefit from a three-week winter break and play on an artificial pitch, said: “I don’t think there should be a winter shutdown at the lower levels in Scotland. “Unfortunately, our weather is so unpredictable that you are always going to get weeks like that with hard frost. “If we had a shutdown, when would it stop and start? “Last year we had the Beast From The East in March. “So I think the matches should just continue on a week to week basis. “I understand the predicament of bad weather but these teams need to get revenue. “Bo’ness have hardly had a home game all season. I think the East of Scotland League is going to blow up shortly because of the way it is structured. “There are lots of cup ties and the home teams keep the gate money in those as well. McGonigal thinks that Bo’ness are wise to be introducing a replacement astroturf pitch at their Newtown Park home. The new 3G surface was originally planned to be opened last summer but this was delayed due to the discovery of a mine shaft. “A lot of Scottish teams have astroturf pitches now and we at Accies have one of the best in Scotland,” McGonigal said. “We paid £750,000 for it so you would expect it to be top drawer. “In my opinion, the day will come when only the top four or five teams in Scotland will have grass pitches.